In the interview above you will hear Kevin Lynch explain to CBC Radio how the Nova Scotia RX Monitoring Program is referring cases to law enforcement , and getting their medical consultant to review prescribing trends that exceed recommended thresholds. Below are the statistics of how many times a year this is actually being done and by whom. Last year there was only 2 referrals to law enforcement out of the 782,865 narcotic prescriptions processed. Law enforcement requested to see 233 patient profiles which can only be done with reasonable cause. 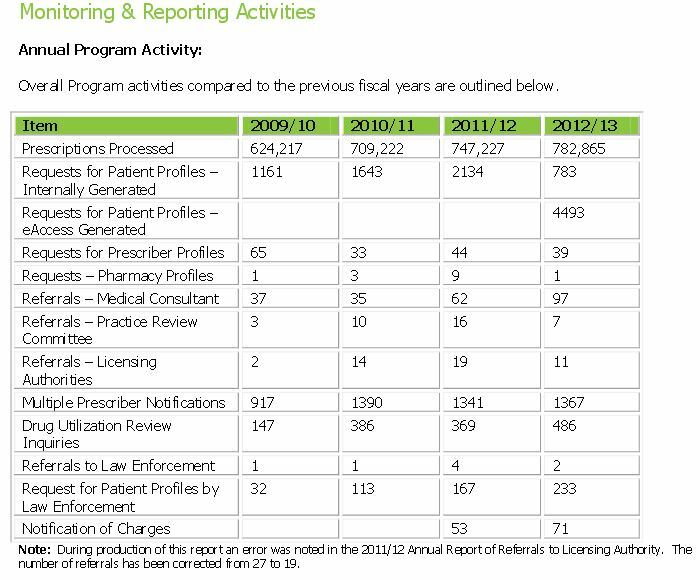 There has been a 628% increase in law enforcement requesting patient profiles over the past four years. Narcotic prescriptions processed by the program have also risen by 25% over the same period of time.However referrals to the practice review committee or licensing authorities have remained relatively constant and have sometimes even declined. 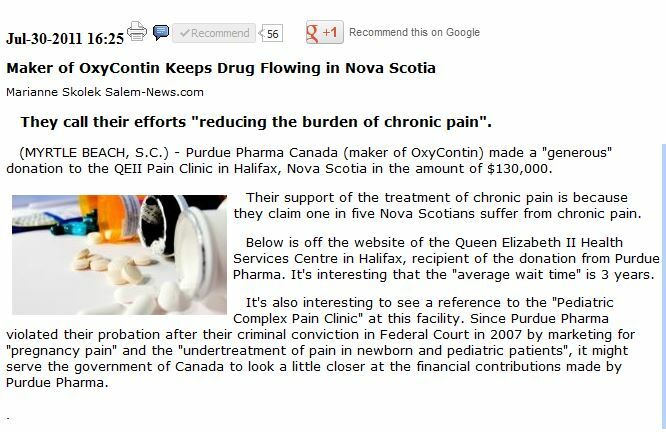 The Medical Consultant for the Nova Scotia Prescription monitoring program is also the manager of the Nova Scotia Chronic Pain Collaborative Care Network which was expanded with funds donated by Purdue Pharma. See full article here by Marianne Skolek. Is this a conflict of interest? The Nova Scotia Prescription Monitoring Program is fabulous for collecting data, but what good is that data if it is not being used to initiate action? We could monitor how many people get hit by cars on a particular cross walk each year. If that’s all we did with the data what good would it be? Would it fix the problem or prevent further deaths? 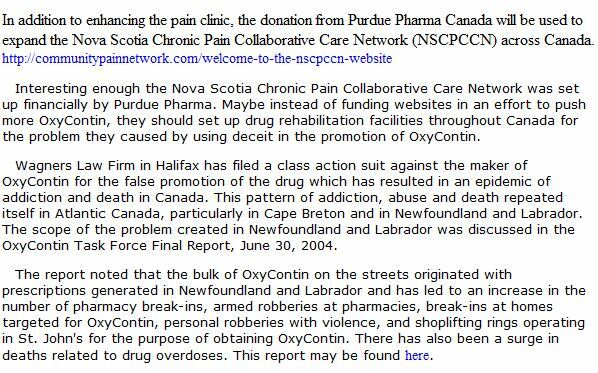 We are approaching 400 people dead over the past 5 years in the province of Nova Scotia due to accidental Rx drug overdoses. We keep racking up statistics year after year, my little brother is one of those statistics. I think we have enough statistics and we need more action , enforcement and education on the subject of Rx drug abuse.